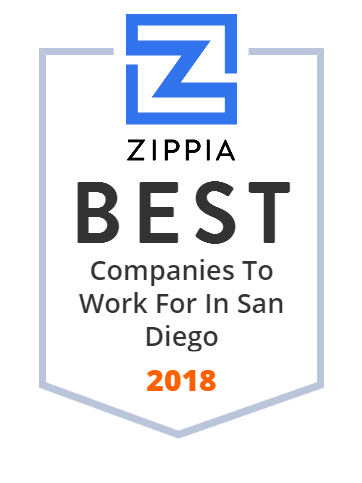 We hand-curated a list of the biggest companies to work for headquartered in and around San Diego, CA using data on salaries, company financial health, and employee diversity. University of California San Diego is one of the top 15 research universities worldwide. The University has six colleges that include Thurgood Marshall, John Muir, Revelle, Roosevelt, Sixth, and Warren College and offers undergraduate and graduate courses in an array of subjects. About 29,000 students are enrolled at UCSD. The university was established in 1912 and is a full university since 1961. San Diego Data Processing Corporation, Inc., an information technology (IT) services company, provides information systems and telecommunication services to various city departments, and County and other governmental agencies. It offers phone, data, and IT services; business intelligence and data warehousing services; and geospatial IT and GIS services, which include strategic GIS planning, project management, systems architecture, and custom application development. The company also provides services in the areas of Microsoft SharePoint, a business tool that connects people and projects through a customizable platform; and SAP resources. It also supports the Sheriff, Department of Land Use and Environment, the Registrar of Voters, Department of Planning and Land Use, Assessor, Recorder, Clerk, Public Works, Health and Human Services, Parks, and the District Attorney. It offers services in the areas of geographical information systems, multimedia law enforcement systems, water and wastewater systems, and wide and local area networking; and Internet, intranet, and extranet applications. The company was founded in 1979 and is headquartered in San Diego, California. Productos Importados, Grandes Ahorros, Supermercado, Gran Calidad, Línea Blanca, Compras en Línea, Membrecía, Experiencia de compra única. San Diego Unified School District is the school district and a land investment corporation based in San Diego, California, United States. 198 Ashford University is an online for-profit university headquartered in San Diego, California. As a leading nonprofit organization, the Y supports everyone in our community through youth development, healthy living, and social responsibility. The Eastridge Group of Staffing Companies provides workforce solutions to clients ranging from startups to Fortune 500 companies in the United States. It offers workforce management solutions in the areas of payrolling, vendor management system programs, 1099 (independent contractor) compliance, managed service provider, and recruitment process outsourcing to customers in defense, customer care, energy, distribution and logistics, health care, financial services, manufacturing, information technology (IT), telecommunications, and pharmaceutical and medical device industries. The company also offers workforce recruitment solutions in the areas of administrative, construction, convention, finance and accounting, healthcare, human resources, legal, manufacturing and distribution, and technology and engineering staffing; and corporate support, specialty, and skilled trades and labor recruitment solutions. In addition, it offers workforce technology solutions that include Badging & Security, a technology that protects clients jobsites from unauthorized access; Time & Attendance, a cloud-based solution that tracks how workers are paid each shift and reduces manual entry hours; and IT consulting and support services. The company was founded in 1971 and is based in San Diego, California with regional offices in Orange County and Los Angeles, California. LivaNova, PLC is a London, England-based medical device manufacturer. Welcome to the official Ace Parking Management, Inc. Facebook Page!